Rashid Khalifa’s Penumbra: Textured Shadow, Coloured Light private view was held at Saatchi Gallery on Tuesday 2 October. Almost 300 art world, media and public sector guests attended this exciting event and delighted in Khalifa’s new works. 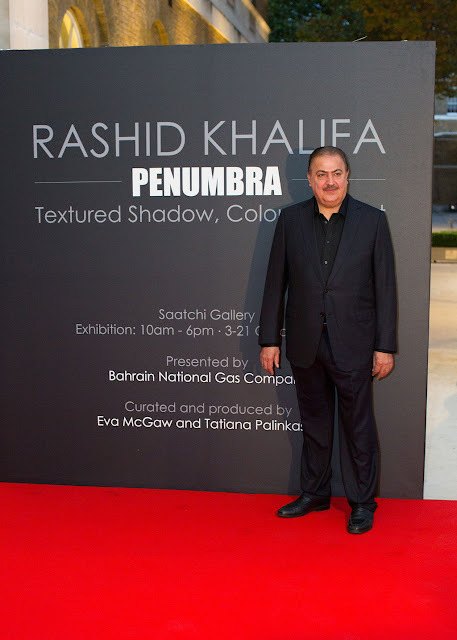 The artist himself was in attendance and mingled with the guests. 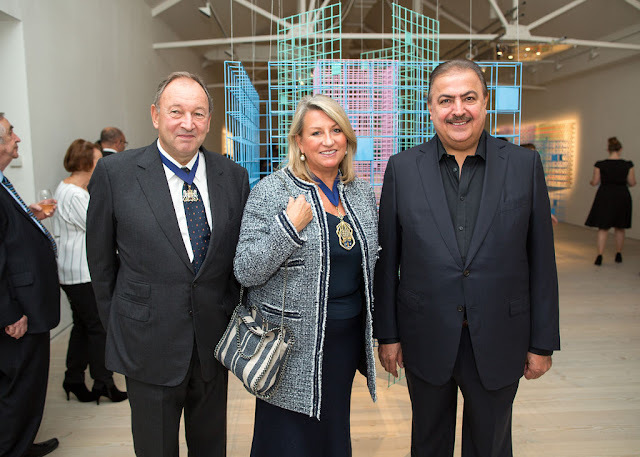 Khalifa's work is spread over two large exhibition spaces on the second floor of Saatchi Gallery. 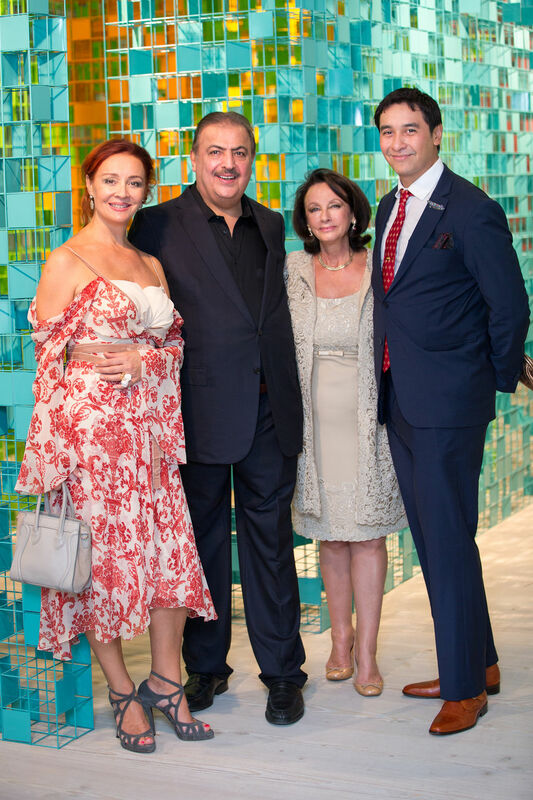 Guests had the opportunity to move around colourful grid mobiles and observe the wonderful aluminium wall works before moving on to the adjacent room where they could walk through a monumental maze. 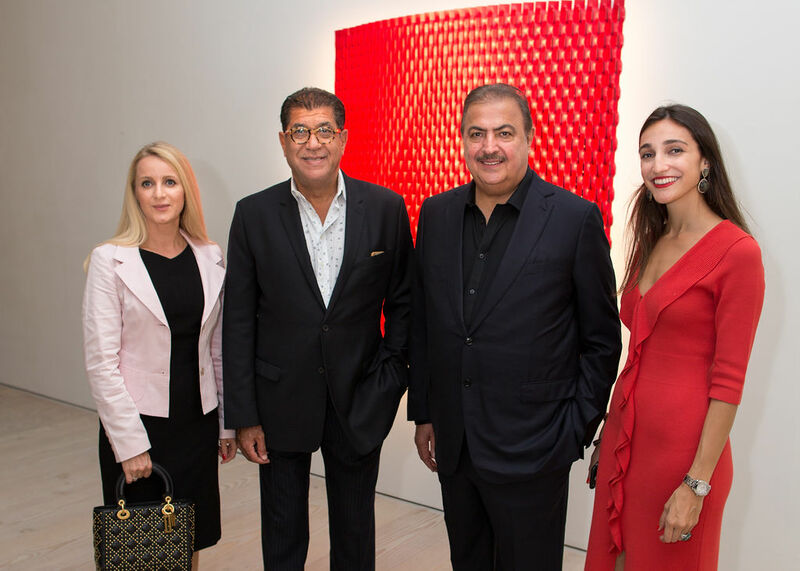 The general public can now view Khalifa’s artwork at Saatchi Gallery until 21 October 2018. 1. I think the exhibition is brilliant and really immersive. 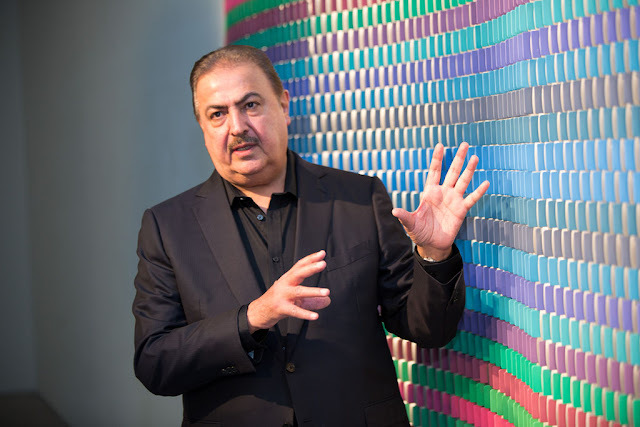 The way it’s been curated is extremely sensitive to the artworks and it’s quite unusual to be able to walk through an artwork. When I first saw it, I thought surely we can’t walk through it, surely we have to walk around it, but to be in it is immersive - another level! 2. I find the exhibition extremely beautiful and I can describe it two words: colour and movement. 3. We have the pleasure of seeing this today. I was particularly impressed with the maze in the second room because I love how the colours engage with each other I like the whole little play of peek-a-boo, - like you see me now and you don’t see me, and looking through the little gaps, the different shades, different shapes and different colours. I think it’s playful but meaningful at the same time. I’m really enjoying this, I’m excited! 4. I have come to the exhibition today to have a look at the colourful installations by Rashid. Everything I’ve seen is extremely exciting, very geometric, with lines and patterns. I’m looking forward to exploring more and walk through the maze and see how I feel! 5. I loved it really. I have near seen a piece of art like this. It’s amazing how you can walk through it and meet people and talk to people. A unique experience!